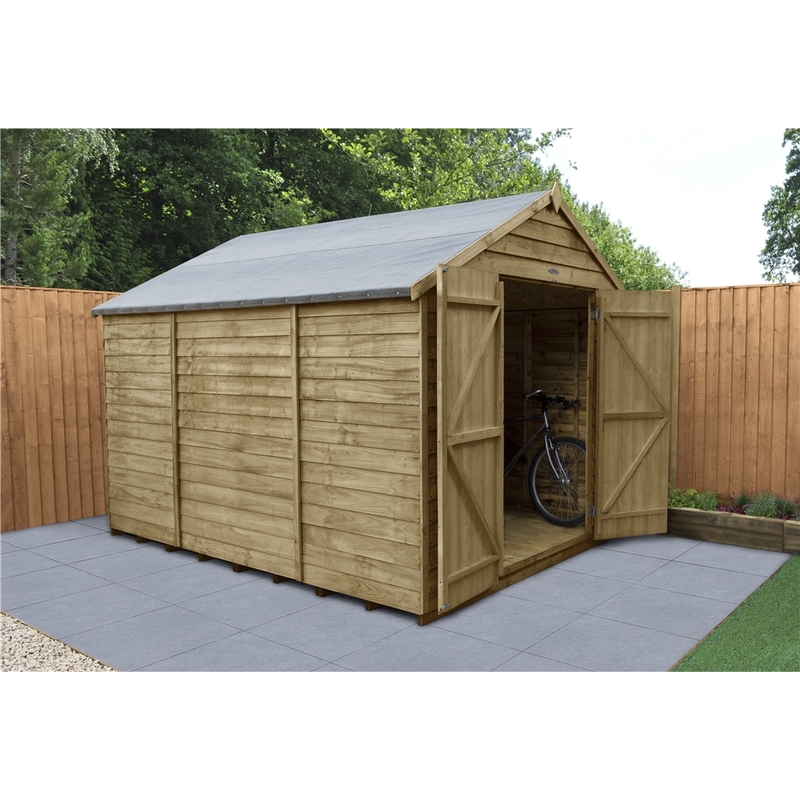 The Pressure Treated Overlap 10x8 Apex Workshop has no windows, providing you with increased protection of your belongings, as they are not left on show. 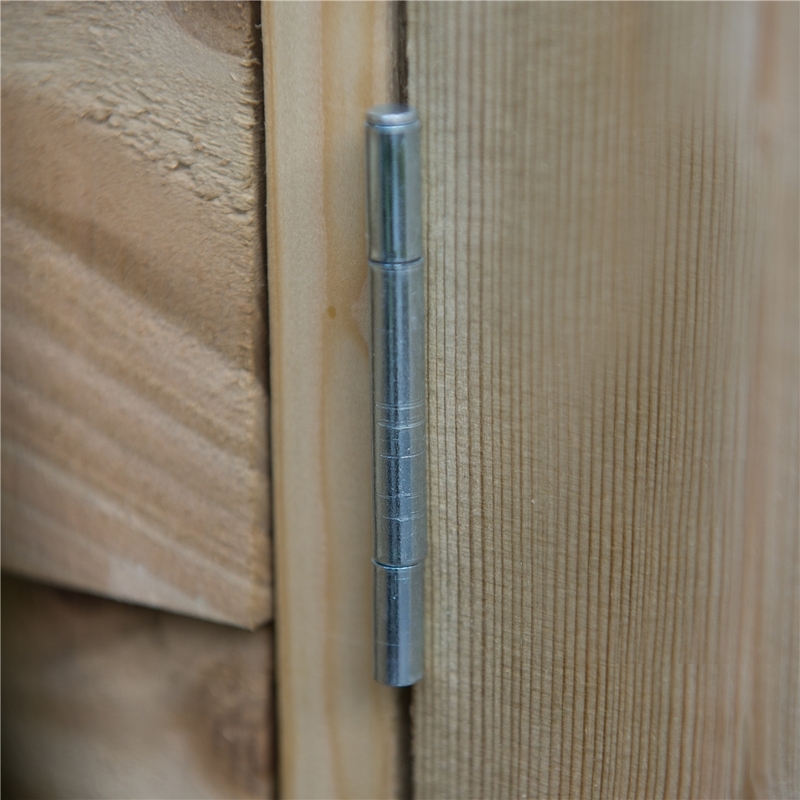 It also comes with hidden hinges and a hasp and staple latch that can be padlocked (padlock not included). 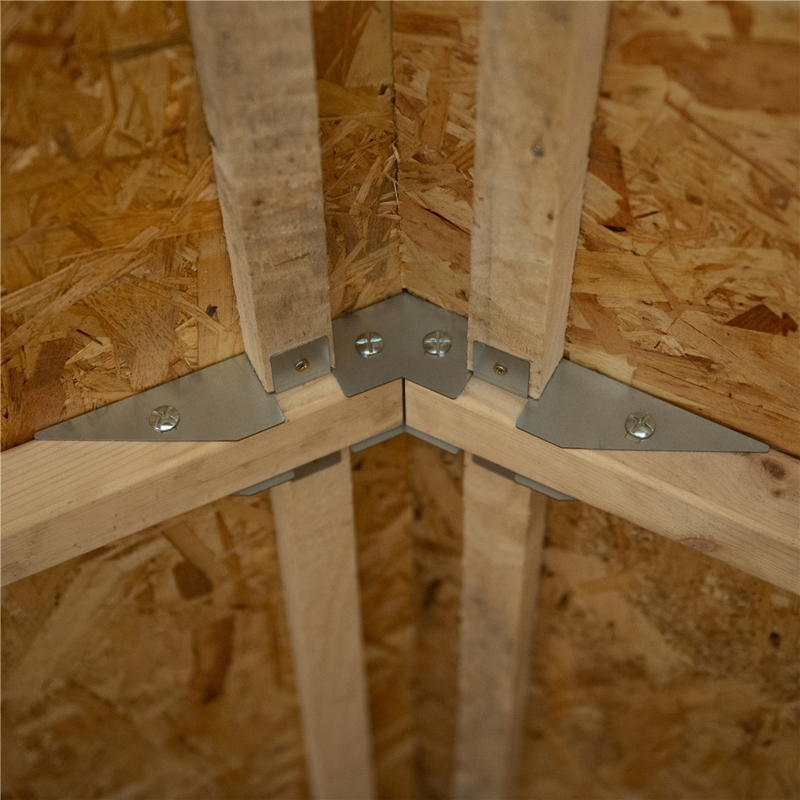 The strong double doors are braced with double “Z” framing. 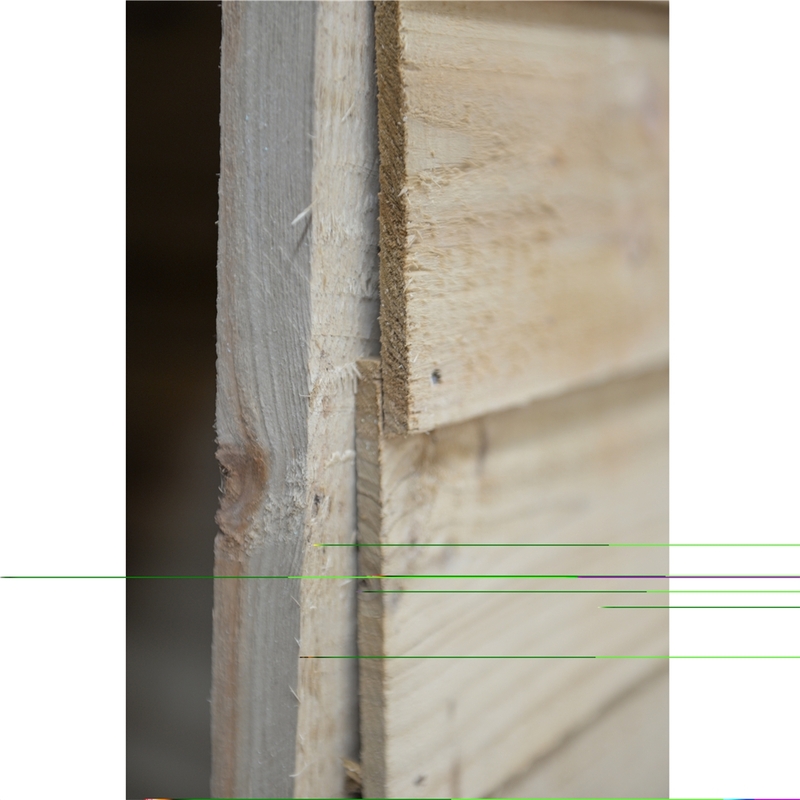 This security workshop is manufactured from straight cut timber boards that are overlapped during construction, which aids water run-off and allows for natural movement of the timber so it can adapt to the changing weather conditions. 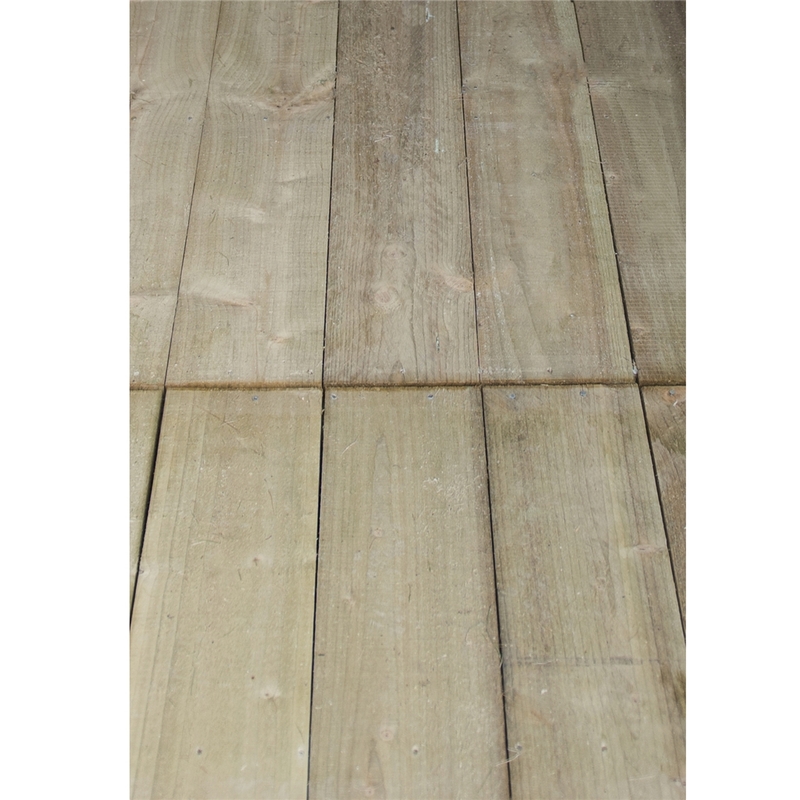 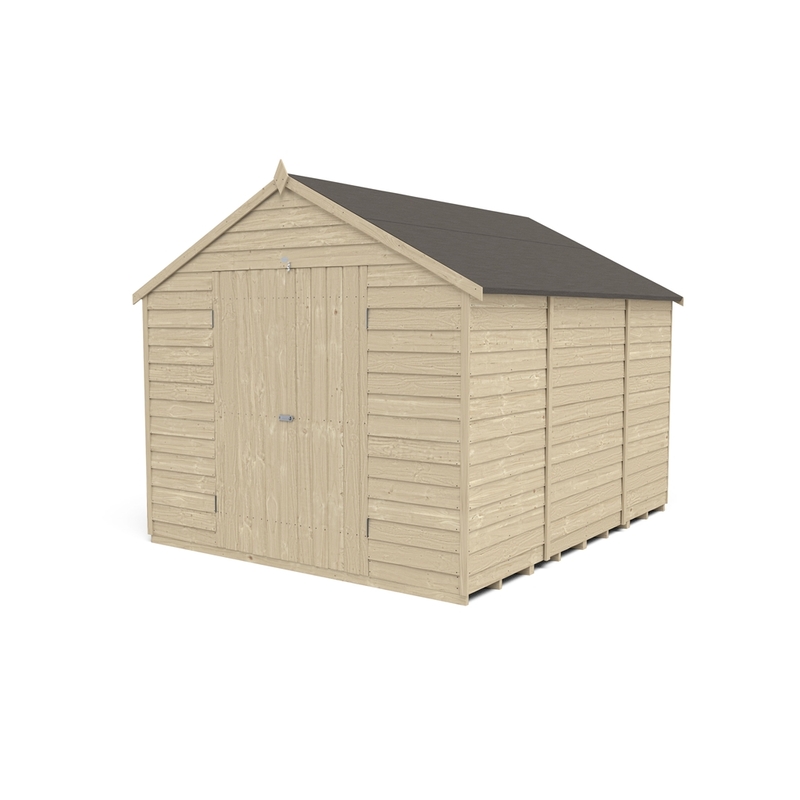 The Pressure Treated solid timber boarded floor allows for the storage of heavier items such as lawnmowers or bags of compost. 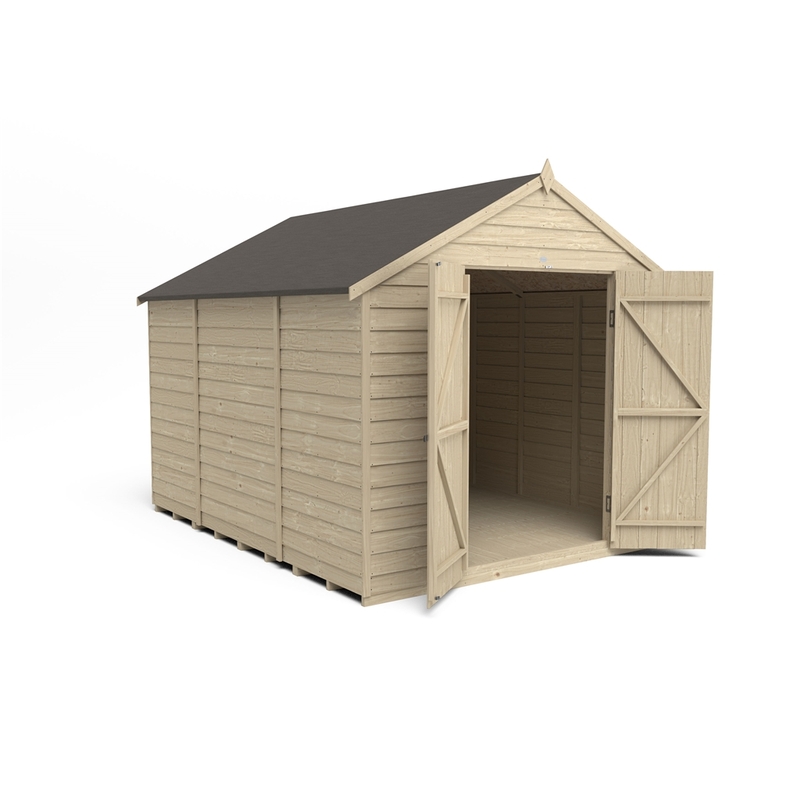 This building has a black sand felted hard wearing sheet roof and for a high quality finish on this garden shed, the barge boards have been smooth-planed and we have added a finial for a decorative touch. 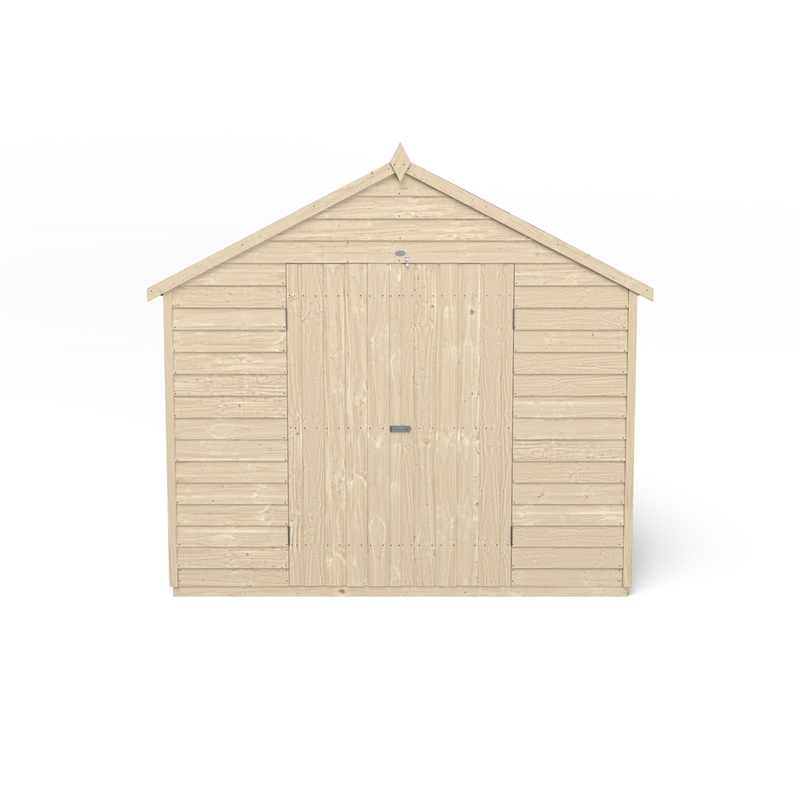 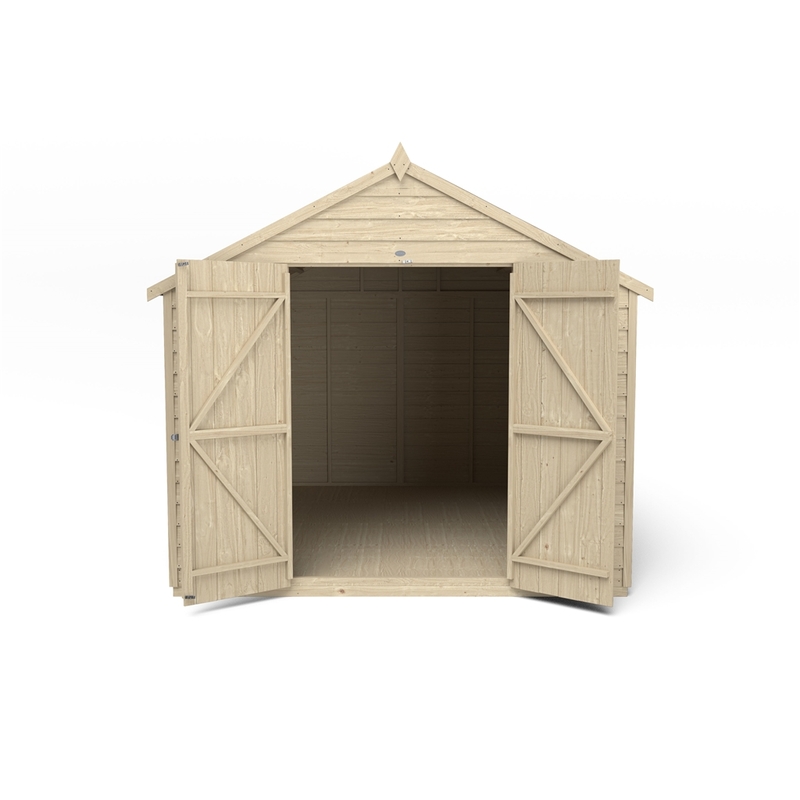 These quality garden workshops are manufactured in the UK with FSC certified timber from sustainable sources and all timber used to construct this shed has been Pressure Treated, giving it a 15 year guarantee against rot.